A flexible, remote-work opportunity where you decide where you teach and when you teach. Whether you are a certified teacher looking to make extra money or you are seeking professional development and the opportunity to expand your skill set by virtually teaching ESL to students abroad, online teaching provides a flexible, remote-work opportunity where you decide where you teach and when you teach. 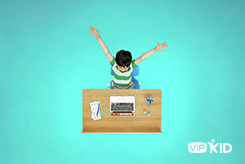 We have partnered with VIPKid to bring you the best and most up-to-date resources to get started with online teaching. Here you will find articles about online teaching best practices and models, time-management resources for working remotely, strategies and activities for supporting English Language Learners, and everything else an online teacher needs. Ready to try your hand at online teaching? 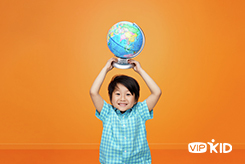 Visit VIPKid today to create your account and start an exciting new career in online teaching!